Michael Peterson was born in Minot, North Dakota, in 1948. He enlisted in the U.S. Army on June 27, 1967, and attended basic training at Fort Lewis, Washington, from September to November 1967. Pvt Peterson next attended Clerk Typist school at Fort Ord, California, and then attended the Warrant Officer Candidate School, receiving his commission as a Warrant Officer in the U.S. Army and designation as an Army Aviator on March 24, 1969. 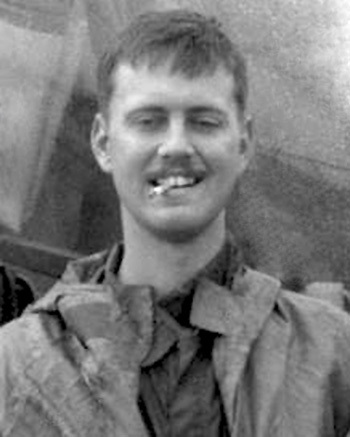 WO Peterson next attended AH-1 Cobra training at Hunter Army Airfield, Georgia, from April to May 1969, followed by service as an AH-1 pilot with B Troop, 7th Squadron of the 17th Air Cavalry Regiment in South Vietnam from May 1969 until his helicopter was shot down over South Vietnam and he was captured by the Viet Cong on November 2, 1969. After spending 39 days in captivity he was released by his captors on December 10, 1969. He was briefly hospitalized to recover from his injuries, and then trained as an AH-1 instructor pilot at Hunter Army Airfield from June 1970 until he was medically retired from the Army on April 12, 1971. After leaving the Army, Michael earned his PhD in molecular immunology, and later pursued a career as a software engineer, from which he retired in 2003. 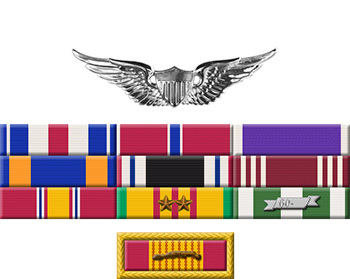 For gallantry in action in connection with military operations involving conflict with an armed hostile force: Warrant Officer Peterson distinguished himself by exceptionally valorous actions while serving as pilot of a helicopter gunship covering a team of two light observation helicopters on a reconnaissance mission. The team came under intense fire and crashed in a clearing surrounded by an enemy battalion. Warrant Officer Peterson positioned his aircraft between the enemy and his downed comrades, exchanging fire with the enemy. Finally the enemy downed his aircraft, critically wounding his co-pilot. Although wounded himself, he exited the totally demolished helicopter and pulled his co-pilot from the wreckage. As he carried his comrade to safety, he spotted an aviator exiting one of the other downed aircraft with his clothing and protective vest in flames. Warrant Officer Peterson carried his co-pilot and the aviator across fifty meters of open terrain while under heavy machine gun and automatic weapons fire, then administered first aid to the two wounded men. Three hours later, when Warrant Officer Peterson attempted to get medical aid for his comrades, he was wounded by enemy fire. His extraordinary heroism and devotion to duty were exemplary. His actions were in keeping with the highest traditions of the military service and reflect great credit upon himself, his unit, and the United States Army.